By Scott Gilfoid: Heavyweight Tyson Fury (19-0, 14 KO’s) was getting a lippy the other day on his twitter account aiming some of angry barbs at the fighter that many British boxing fans feel Fury ducked in unbeaten David Price (13-0, 11 KO’s). Fury doesn’t seem to think too much of Price for some reason. It must be really bad for him to have to live with not accepting the challenge from Price. He should have just taken the beating and been done with it instead of giving up his titles. I think we might be waiting for the rest of our lives for that day when Fury steps up to the plate and breaks from whatever is holding him back from taking the Price fight. The British boxing public has already pretty much given up on Fury after he vacated his titles and chose to accept Price’s challenge. Goodness knows, it made Fury look bad as heck not to take the fight with Price, and there’s not much Fury can say to undo what he did himself by giving up his titles. That was big, big mistake on Fury’s part because it kind of showed fans who the top dog is in the UK. I’m personally impressed at all by David Price, but he kind of the top heavyweight in the UK by default now. Fury won’t fight him, and Haye is too small. Price has a fight coming up on October 13th against Audley Harrison (28-5, 21 KO’s) Echo Arena, in Liverpool, Merseyside, United Kingdom. It should be interesting to see how well – or not so well – the 29-year-old Price does. I suspect he’ll win the fight because Harrison is 40 and his career has been sorry disappointment. Talk about not living up expectations. Harrison is a living example of that. But he’s still got a chance to KO Price if he will himself mentally throw some punches for a change. I don’t think he will though. Harrison will probably stand like a stature, looking scared and will get blasted out by Price. But then again that’s why he was probably selected. It gives Price a scalp with a name but that’s virtually no threat to knocking him out because he doesn’t throw punches when he steps up against better opposition. As for Fury, it looks like he’s still hoping to get that fight with former WBA heavyweight champion Ruslan Chagaev, who has seen much better days. I can see Fury wasting a lot of time waiting for this fight to happen. I hope he wises up at some point and fights someone else do he doesn’t end up wasting six months to a year waiting on Chagaev. What Fury should do is accept the talented Deontay Wilder’s challenge, but of course if he does Wilder will give a nice knockout loss on his record and that will be that. Fury just seems like he’s just looking to take soft fights until he gets his payday fight against one of the Klitschkos. He’ll lost that fight badly, but will get a payday in the process. I honestly don’t know what he’s waiting for? 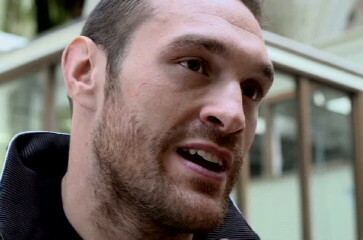 It’s not as if Fury is going to stand any better chance next year or the year after against Wladimir or Vitali. That’s a knockout waiting to happen no matter how long Fury waits.